The new state-of-the-art lobby at Courtyard provides greater flexibility and choices for our guests. At the center of it all is The Bistro, your destination for a great breakfast, or drinks and dinner during the evening. You'll also enjoy inviting, flexible spaces where you can work or relax, free Wi-Fi throughout and easy access to the latest news, weather and airport conditions via our GoBoard technology. Plus, our oversized fitness center and outdoor resort style pool will help you stay refreshed and energized. 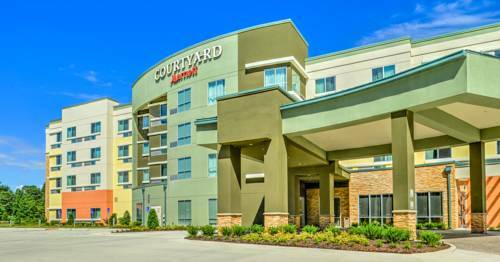 Whether traveling for business or pleasure, your stay at Courtyard is sure to be more comfortable, more productive and more enjoyable than ever before! We are located within miles of major industrial industries, Chennault International Airport and Northrop Grumman. We are also located directly in front Lauberge Casino Resort and Golden Nugget Casino Resort. Lake Charles is also the home of McNeese State University Cowboys.